Contribute to my IndieGoGo Campaign! Help make my release a reality. I'm looking for friends, family and fans (which is a dirty word in my books) to consider pre-purchasing my upcoming release. 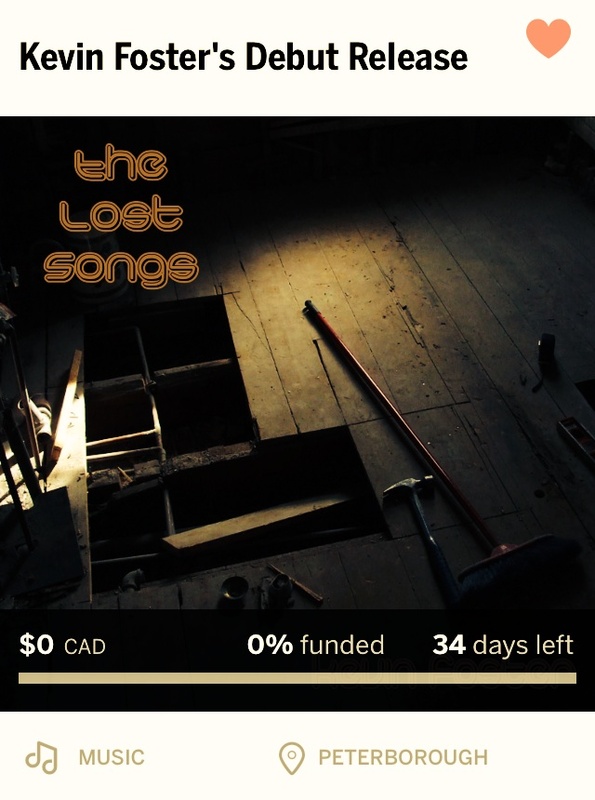 I have put together a small IndiGoGo campaign with a few "perks" that you can contribute to. I would like to release my album and get some download cards to sell or distribute at my gigs. Also, I need a bit more funding to get the songs released on iTunes, Amazon, and all those other online avenues. Perk 1 - Donate $2 for a shout out and special thank you. Perk 2 - Pre-Purchase the EP for $5. You will get the album 1 week prior to it's official release. Perk 3 - Custom Cover Song for $50 I will learn and record one of your favourite songs. Of course some restrictions apply, I ain't pulling off any freebird solos anytime soon. This cover will be a one of a kind recording especially for you. Buy one for a girl friend or family member. The song will be on my website to stream, with your name on it. Perk 4 - Custom House Concert for $400 (in Southern Ontario) I will come play a 4 hour show for you and your friends and family. Book me for a barbecue, special event or backyard party. This will be a great time! We can book the gig at your leisure as applicable. Show me some love and help me get the ball rolling. This will be my first legit release in over 7 years. My soul is hungry for something to share with my fellow humans. Special Thank you to Dave, TechMuze, and Connie for their early contributions, you guys are forever embedded in my memory and this release. Thank you very much. Mucho love and a big thank you in advance to everyone else.